For all the Hard hearted fans of electronic and mobile company samsung, Samsung is giving an awesome deal on the most favorite phone by the samsung fans of S Series Samsung Galaxy S4, which Current price is 23,500 Rs in Indian market and you can get minimum 20,000 Rs deal on other websites like flipkart other than amazon. Because, in partnership with amazon india, samsung providing the awesome android smartphone in just 16,499 Rs. only for very limited time period. Not only this, if you have SBI Debit or Credit card, then you can get extra 15% whopping discount. 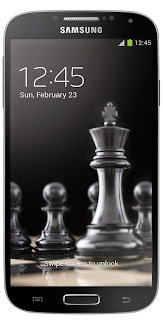 So, i think you can't get a better deal for Samsung Galaxy S4 at this time. Soon, the price will go high and the 15% Extra discount scheme will also be vanished. So, do act before it is too late. There are 2 colors basically, you can choose from. First is white and another one is black which you can see above. Specs of Samsung galaxy s 4 are Awe-inspiring like 13 MP Primary camera with flash, autofocus and HD Recording. 2 GB RAM, 16 GB Internal memory and a lot more exciting features. Best buy in this price. For more awesome deals and freebies, stay connected with All India coupons. You can also subscribe us via email.